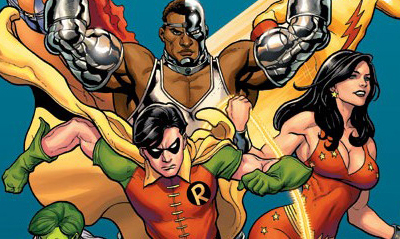 What's better than a decent New Teen Titans line-up? Today's news DC Comics are shifting all their $3.99 price points back a buck in cost, effective: January 2011. Pointing out the logic behind the move Dan DiDio, DC Comics Co-Publisher says the community made it clear $3.99 for 32 pages was "too expensive", leading to a reluctance to try new titles and the abandonment of others by long time fans. To lighten the strain on fan's wallets, the recent back-up features will be moving to a new platform, but that is welcome change for a back-track that couldn’t have come soon enough. Cost was definitely a factor in me leaving Green Lantern: Emerald Warriors on the shelf, yet this move has me looking more favourably at picking up David Finch's Batman: The Dark Knight. DC titles affected include; American Vampire, Batman: The Dark Knight, Batman Incorporated, Green Lantern: Emerald Warriors, JSA All-Stars, Gears of War, God of War, Kane and Lynch, Ratchet and Clank, Action Comics, Adventure Comics, Batman: Streets of Gotham, Detective Comics, Doc Savage, Justice League of America, Legion of Super-Heroes, and The Spirit. Marvel so far has only stated new books launching after January 2011 won’t debut at $3.99. This news made my day! 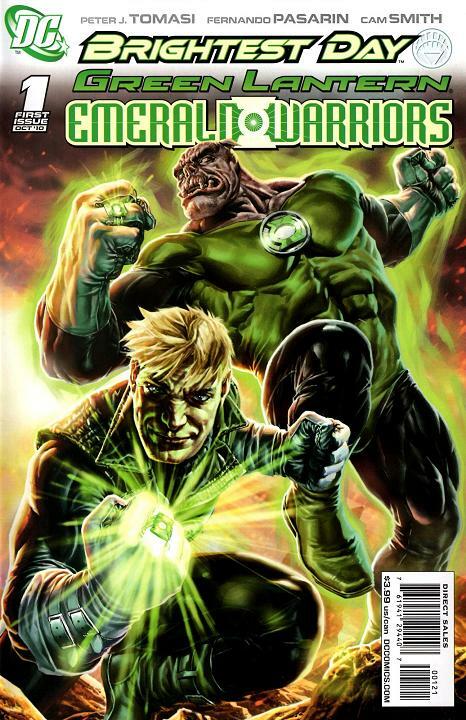 And I've been thinking the same thing about GL: Emerald Warriors. Thanks for the comments Kello - I thought this news was the best in a long time too! Exactly Ryan - that would make my wallet breath a little easier that's for sure! Wow...a price reduction? I'm glad DC is listening to their fans/sales figures. This news is so friggin' awesome! I'm thrilled about it! So do you think Hell froze over when this announcement came out? Let's see how Marvel reacts. They've stated over and over that sales haven't slipped due to the price increase. Can't wait. I'm glad too Liss. You can imagine what a $3.99 US comic equates to after it gets though all the shipping and currency changes it takes to get here. Ha - Shag you are probably right on the freezing over. Good on DC though. It may seem like allot of money to 'let go off' but I'm sure they'll make it up in number of copies sold from fan's looking out for publishers who look after them. Hopefully others won't be far behind. Reality check calling Marvel, you're on in five. good god, Donna Troy in this post looks like she's got Serena William's body, albeit in a different complexion. come to think of it if she was green instead of black Serena Williams would make a perfect She-Hulk. you just can't find a better combo of beauty and power.